We will provide an overview of D&O liability and insurance “hot topics” for 2018. In two hours, our panel of attorneys, brokers and risk managers will provide an overview of the intricacies of insurance protection for directors and officers and the companies for which they're responsible. We will focus on emerging issues in D&O insurance for regulatory investigations and enforcement actions. 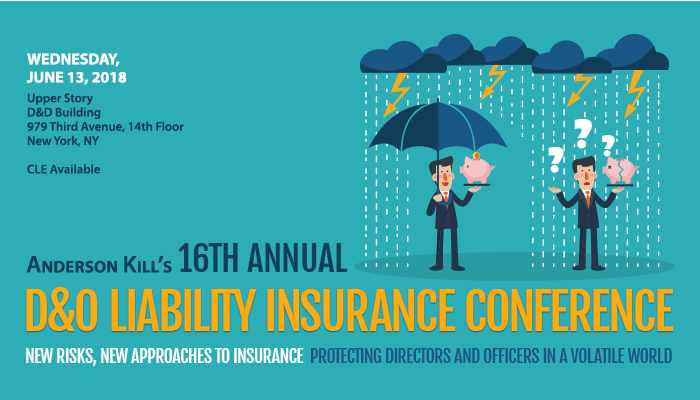 A panel of experts also will describe covering corporate liability for M&A risks via Transactions Liability Insurance.